The town of Laura, 200 kilometres northwest of Cairns, recorded a population of just 82 in the 2011 Census. 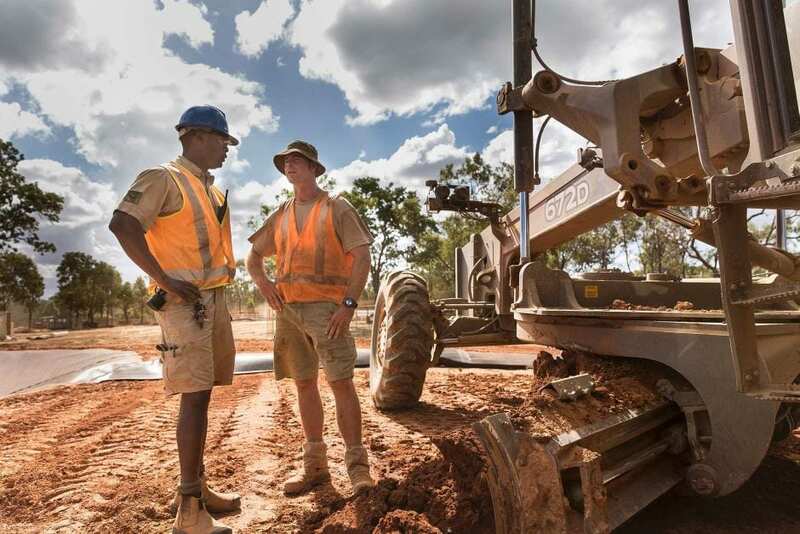 Since April, however, more than 150 Australian Army personnel have been living and working in the town as part of the Army Aboriginal Community Assistance Program (AACAP). The troops’ commanding officer, Major Jack Plimmer said they were working on four major projects including construction of a wastewater treatment plant, a multi-purpose community centre and the erection of a roof over the community’s existing outdoor multi-purpose court. “The final big project we’ve got is [constructing] about 1,000 metres of footpath down the Peninsula Development road,” he said. Now in its 20th year, the AACAP takes army personnel from all over the country to a different regional Australian town each year to deliver infrastructure, health and training. This year the majority of the boots on the ground are those of soldiers usually based in Sydney. “Most of the engineers that are part of our contingent are from Holsworthy Barracks, based in Sydney, however we’ve got hospital personnel based out of Enoggera Barracks in Brisbane and logistics and catering personnel from as far away as Perth and Darwin,” Major Plimmer said. Preparations for the arrival of 150 Army personnel in such a small town began in 2014. “That was one of our challenges right from the start, to break the ice,” Major Plimmer said. “We understand we’re quite intimidating, the Army, in our green uniforms, especially coming in such a big number. 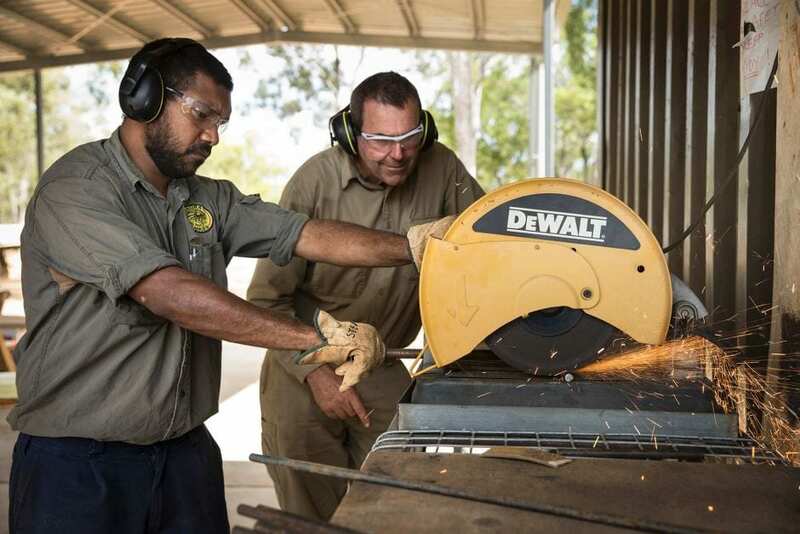 While stationed in Laura, some soldiers have also volunteered their down-time to assist local veterans building a memorial at the nearby Pandanus Park War Veterans Retreat. He said amongst the many personnel based in Laura were electricians, plumbers, dental and medical staff, vehicle mechanics, fitter and turners, educators, metal workers and cooks. “It’s a really diverse team which makes it really rewarding to lead. According to Major Plimmer setting up a camp big enough to accommodate so many people is one of the reasons the AACAP is so important to the Army. “This is really similar to what we have to do if we were to do operations overseas, or a humanitarian or disaster response type scenario in the southwest Pacific,” he said. “We supply our own water from the Laura River, which we purify and use for drinking, we provide all our own electricity, we’ve got our own stand-alone communication system and we also treat all our own waste-water on site. AACAP operations in Laura are due to be completed in late September 2016.